HomeCybersecurity - Can Pacemakers Be Threatened? The internet, one of man’s greatest discoveries, is now literally at our fingertips. Though it is highly developed and talks of a progressive society, there are some downsides too: cyber-crimes that affect the lives of many. It has recently come to light that such issues can also extend into areas of medicine. Pacemakers, designed and incorporated into the body to assist individuals with weak hearts or irregular heartbeats, could possibly be a target of online attacks due the ease with which they can be meddled with, their high maintenance and government regulations. Of course, this is bad news for fans of the tech-savvy cyberspace. Blame it on the prototype! 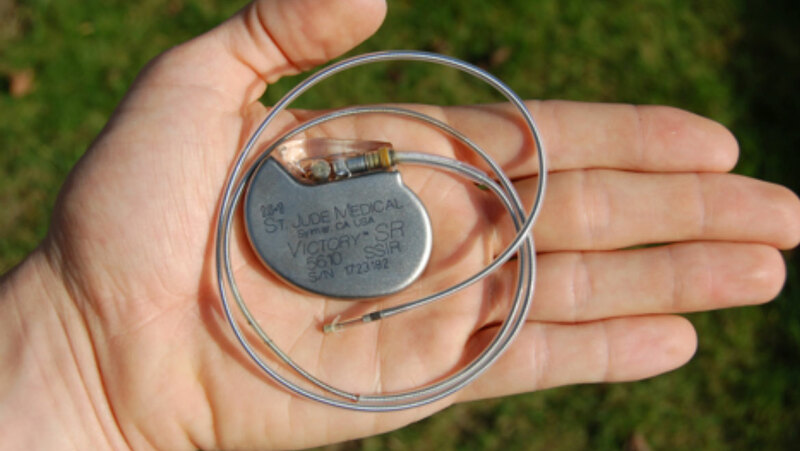 Modern day pacemakers consist of microprocessors, which are the main components performing functions such as taking calculations from the heart, including heartbeat rates, for use by doctors. This data is then stored in a database in a device and can be controlled remotely, in short, a “backdoor” to the computer. It is understood that this product can be tampered and the entryway can be broken into due to its negligible encryption. The answer to why it’s not being updated is as yet unknown. Security measures to improve the construction of pacemakers including, as researchers have suggested, installing jammers, building a stronger firewall, and password protecting the medical device, need to be taken swiftly in order to combat this challenge. Approaching it from a broader angle, experts are beginning to insist on stricter laws and legislation with respect to cybersecurity. Hospitals have been left out of the equation as they are required to comply with the FDA and cannot update any software or malware protection independently. Although a relatively newer menace in the world of health, these kind of incidents are not uncommon. For example, in 2014, company Statoil endured a threat when a technician got past the firewall by simply pushing a button that completely stopped production. Hackers can endanger systems and gain a massive amount of private or financial information, making it a foreboding proposition in our near future. Not to forget, any error on their part could be deemed costly, or even fatal. On a larger scale, what results from a cyberattack on the vulnerable pacemakers is the breach and manipulation of data which can lead to a range of consequences from blackmail to even cardiac arrests in patients. This reality-check is begging action, and hopefully, on a national and international level, measures will be taken and responsibility endowed in solving what could become a huge peril to the health and existence of mankind. The Solar Economy: What’s Being Done To Help It On Its Way?